TOKYO — Japanese whalers discussed plans Thursday to resume their commercial hunting along the northeastern coast on July 1, for the first time in three decades. Their preparation follows Japan's decision in December to leave the International Whaling Commission, abandoning decades-long campaigning in hopes of gaining support within the organization that has largely become a home for conservationists. The Fisheries Agency said whalers in six Pacific coast towns, including Taiji, which is known for dolphin hunts, were expected to bring five vessels to form a joint fleet beginning July 1, one day after Japan formally withdraws from the IWC. 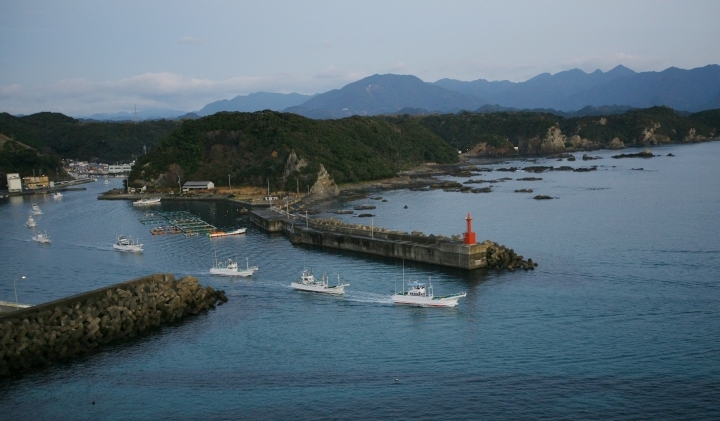 Taiji is leading the effort as a traditional whale town and will contribute one vessel to the fleet that will catch minke whales. 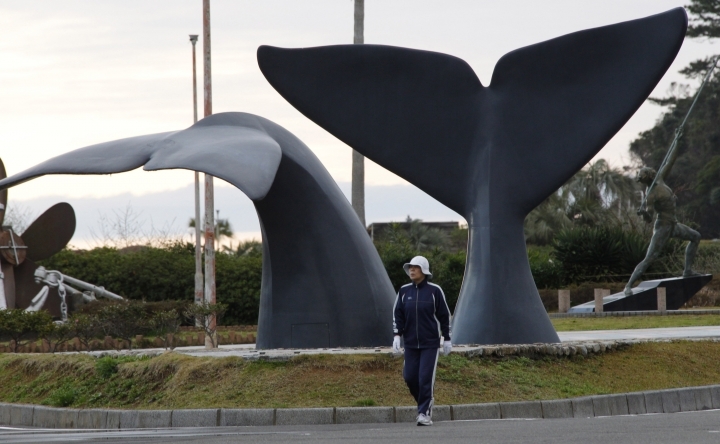 Exact locations and hunting plans will be decided based on results of research operations planned by the end of June, said Shigeki Takaya, a Fisheries Agency official in charge of whaling. Catch quota and hunting schedule are yet to be decided. Japan's national broadcaster NHK said the coastal whaling will start from Hachinohe in northern Japan, or Kushiro, a main whaling hub farther north, on the island of Hokkaido. Each vessel would then head southward to Chiba, near Tokyo, while making several stops along the coast before heading back to Kushiro for more hunts later in the year, NHK said. Experts are deciding the sustainable catch quota using the IWC method. Japan plans to remain as observer of the IWC. While conservationists criticize Japan's move, whalers' scope of operation would be much smaller than previous research hunts and would save hundreds of whales that Japan used to catch in distant seas. Japan will stop its much-criticized hunts in the Antarctic, where it had conducted what it called research hunts since the IWC imposed moratorium in the 1980s. Japan at its peak caught as many as 1,200 whales in the Antarctic, but has increasingly cut back on its catch in recent years as international protests escalated and whale meat consumption slumped at home. Japan has hunted whales for centuries, but its Antarctic expedition began after the U.S. postwar occupation in 1946 approved it to get protein from whale meat as cheaper alternative to other meat. Records of parliamentary debate from that time show no reference to Japanese culture being linked to whaling. Today, conservative lawmakers including Prime Minister Shinzo Abe, promote whales not only as delicacy but as Japan's cultural heritage. Fisheries officials plan to start with a modest plan to carefully gauge a market size, a former IWC negotiator, Hideki Moronuki, said. 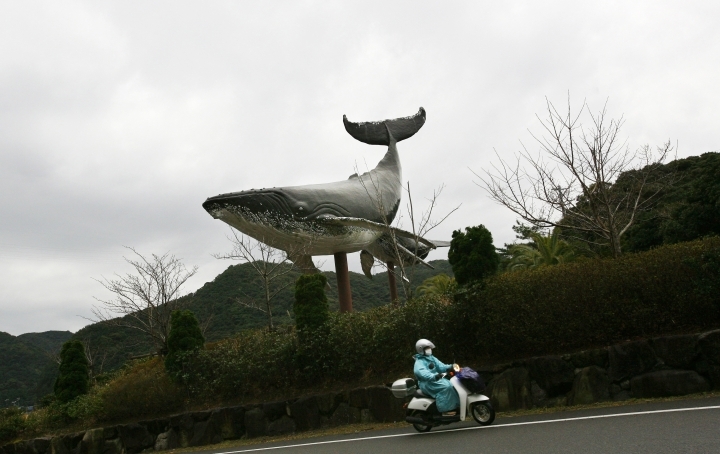 Fisheries officials say Japan today annually consumes about 5,000 tons of whale meat from the research hunts, mainly by older Japanese seeking a nostalgic meal. It's a fraction of the country's whale meat supply of about 200,000 tons before the IWC moratorium. Critics say they doubt commercial whaling can be a sustainable industry because younger Japanese may not view the animals as food.